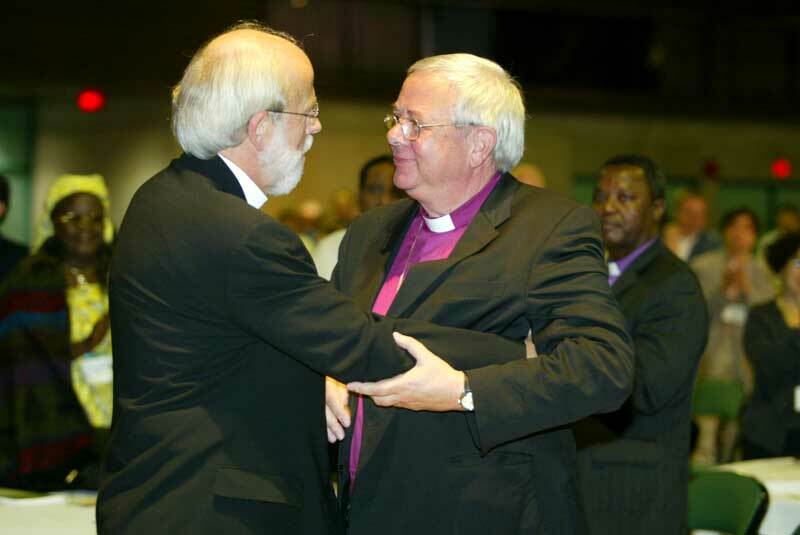 The newly-elected LWF President, Evangelical Lutheran Church in America (ELCA) Presiding Bishop Mark S. Hanson, expressed profound gratitude to his predecessor, Bishop em. Dr Christian Krause for his lifelong leadership within the LWF. “You have built bridges, spoken with clarity your convictions as a Lutheran theologian, listened intently, known when to challenge us, when to encourage us, when to let us struggle and when to bring us together again, and I, as your successor, am profoundly grateful for this legacy that you give to me, to the Federation and the whole world,” Hanson told Krause, former bishop of the Evangelical Lutheran Church in Brunswick, Germany. > Click here for an expression of thanks by the LWF General Secretary, Rev. Dr Ishmael Noko, to the Evangelical Lutheran Church in Canada. 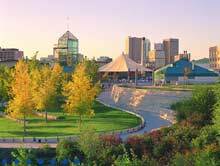 From 21 to 31 July 2003, delegates from the Lutheran World Federation (LWF) member churches gathered in Winnipeg, Canada, for the LWF Tenth Assembly, hosted by the Evangelical Lutheran Church in Canada (ELCIC). Assemblies, considered milestones for, and manifestations of the whole Federation, normally take place every six years. They hold highest authority over LWF policy and activity. A theme is chosen for each Assembly. "For the Healing of the World" was the theme for the 2003 Assembly. > Please click for the additional purposes of the Tenth Assembly.